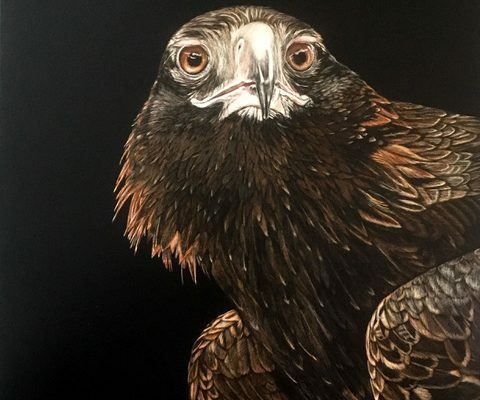 Esther Horton – Queensland Wildlife Artists Society Inc.
Esther considers herself fortunate to grow up with both her parents and both grandfathers sharing their passion for art and painting. She has been drawing for most of her life. She finds painting great relaxation therapy at the end of a busy workday. It combines her love of art, photography, natural history and bird watching. Esther is a Veterinarian who has a business in acupuncture and physical therapies for small animals. Esther’s preferred mediums are Watercolour and Scratchboard. She particularly loves utilising the granulation properties of watercolour paints and watching paintings come alive. Esther prefers painting owls, other birds and wildlife from her own extensive photo library. She enjoys turning her special memories of her animal encounters into art work. She loves how Scratchboard is able to give incredible detail to portraits of birds and animals in particular. She searches for that special connection, and especially eye contact, in her photos when looking for a suitable subject. 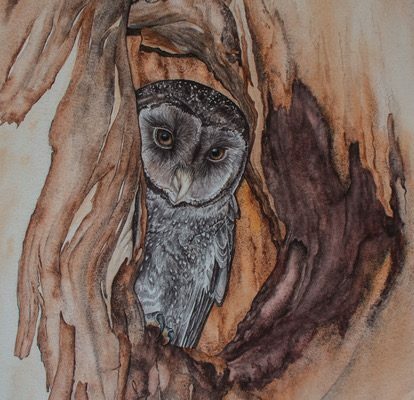 Esther has exhibited at the Caloundra Regional Art Gallery, the Watercolour Society of Qld, the Queensland Wildlife Artists Society, Brookfield Show, Blue Room Cinebar in Rosalie and Old Schoolhouse Gallery in Cleveland. She has won various awards at several exhibitions. 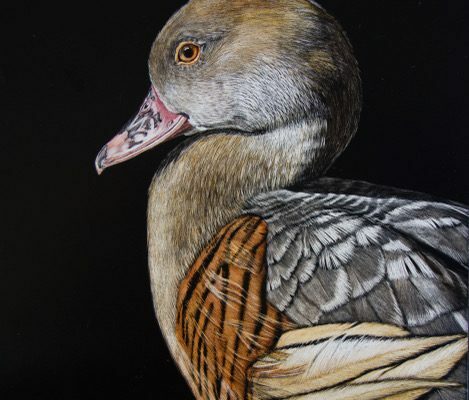 She was a Finalist in the Holmes Art Prize for Realistic Australian Bird Art in 2016 with her Scratchboard of a Plumed-Whistling Duck.